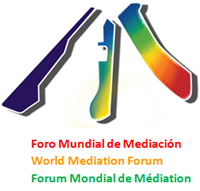 The World Mediation Forum (WMF) is an international charitable organization, founded on interdisciplinarity and at the service of mediators worldwide. The WMF’s mission is the development and exchange of knowledge, information and competencies in all mediation areas, notably through the regular organization of international congresses for more than fifteen years (2003: Argentina, 2005: Switzerland, 2007: Israel, 2009: Venezuela, 2012: Spain, 2017: Canada). Through three well-recognized mediation outcomes (conflict prevention, social regulation, and institutionalization) but also a thorough analysis of the multidimensional field of intercultural mediation, participants in the Xth Conference of the World Forum of Mediation will be brought to reflect on the place that mediation takes, should take, or could take in our modern societies. You can also surf on this Website in French or Spanish (FR or ES buttons at the top of the page on the right).